Only ten years ago, the idea of Wi-Fi as the primary access technology was little more than a vision. The WiFi network of that period were designed primarily as convenience networks and were not well-suited for the operation of mission-critical applications and access. Over time, WiFi Networks became increasingly pervasive and architectures evolved to better manage and contain WiFi Network traffic. For these convenience networks, a model of centralised control and distinct points of presence via WiFi Network controllers eased the task of managing the increasing number of access points without overwhelming IT resources. 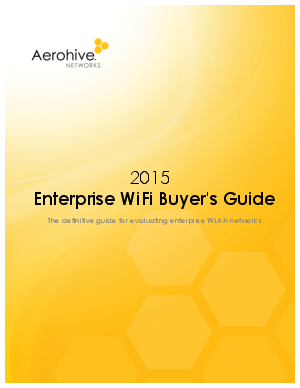 This guide reveals how to evaluate enterprise WiFi Networks.